New York Giants 22 – Jacksonville Jaguars 12: The New York Giants defeated the Jacksonville Jaguars 22-12 in the team’s second preseason game of the summer on Saturday night at MetLife Stadium. 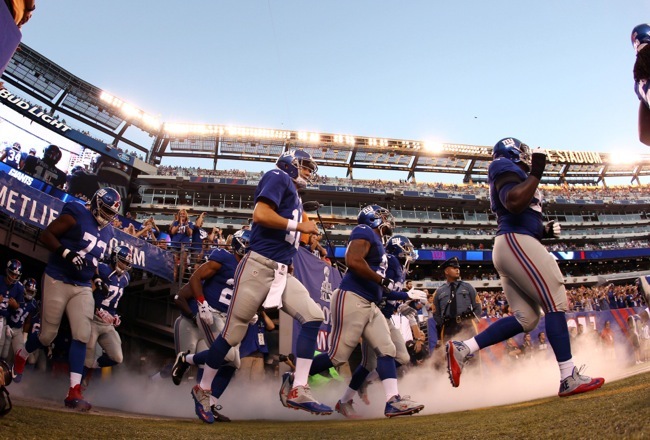 The Giants improved their preseason record to 1-1. 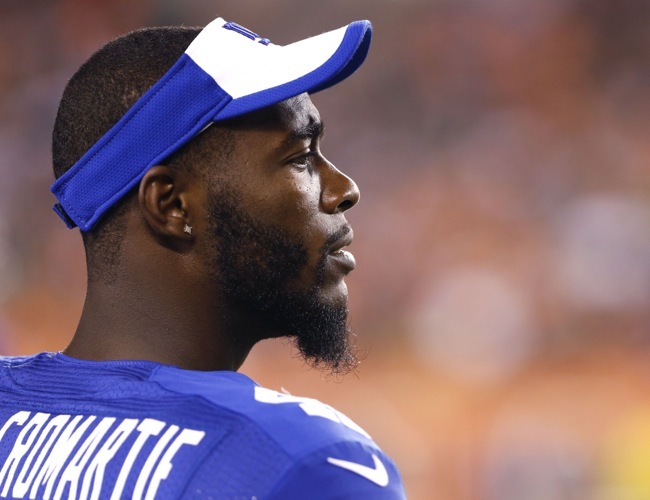 Despite the victory, the Giants received more bad news on the injury front. Counting the two players already on Injured Reserve, a team missing 16 players coming into the game, including eight defensive backs, was hit hard again by injuries. The most serious initially appears to be to safety Justin Currie who fractured his right ankle. But there are fears that Bennett Jackson, who started the game at safety, may have torn the ACL in his right knee. Also leaving the game early were linebacker Jon Beason (knee sprain), linebacker Mark Herzlich (concussion), and linebacker Tony Johnson (knee sprain). Offensive guard Adam Gettis (stinger) also left the game but returned. Bennett Jackson will have an MRI tomorrow. Source said it "doesn't seem good." The final score was misleading in that Jacksonville’s starters out-played New York for most of the first half. The problems on offense were in the passing game as quarterback Eli Manning (4-of-14 for 46 yards) was off the mark and he was not helped out by wide receivers such as Odell Beckham (no catches despite five throws in his direction) and Preston Parker (one catch on four passes thrown his way) who short-armed or dropped passes. The starting offense with Manning in the game only gained 76 yards and five first downs on three drives. The good news on offense was that the line and running backs looked good. Place kicker Josh Brown made field goals of 51 and 43 yards in the first half. Defensively, the starting defense once again had issues stopping the opposition as Jacksonville’s offense put together three straight scoring drives of 10 plays or more to start the contest. The Jaguars had to settle for three field goals however. The Giants dominated the second half of the game as New York scored on four straight scoring drives to take a 22-9 advantage until late in the 4th quarter. 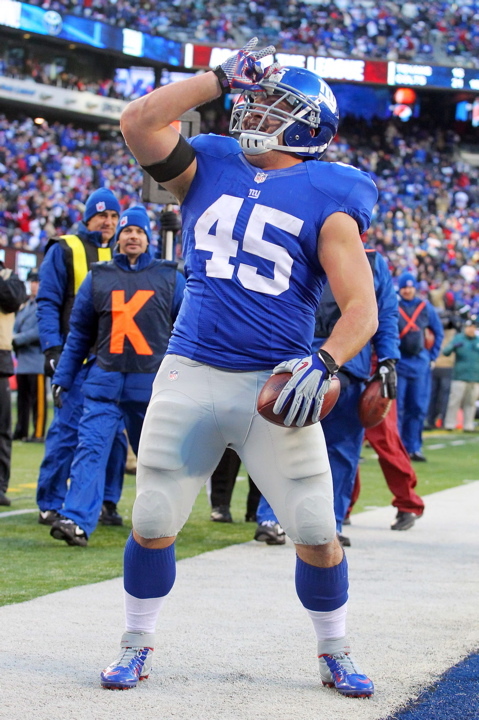 The only touchdown came on an 8-yard throw from quarterback Ryan Nassib to wide receiver Dwayne Harris. Nassib finished the night 19-of-35 for 217 yards. Brown also added three more field goals, including from 53, 37, and 28 yards out. The Jaguars only gained one first down in the second half until their final drive that resulted in a 55-yard field goal with two minutes to play. The leading receivers for the Giants were wideouts James Jones (five catches for 83 yards) and Geremy Davis (four catches for 43 yards). Running back Orleans Darkwa carried the ball six times for 25 yards while the top backs of Rashad Jennings, Andre Williams, and Shane Vereen totaled a combined 30 yards on seven carries. Defensively, defensive end Damontre Moore accrued two sacks while linebacker J.T. Thomas had one sack that also caused a fumble that linebacker Devon Kennard recovered. Video highlights/lowlights of the game are available at NFL.com. Post-Game Notes: Not playing were wide receiver Victor Cruz (calf strain), wide receiver Rueben Randle (knee tendinitis), wide receiver Julian Talley (toe), right tackle Brandon Mosley (back), left tackle Will Beatty (PUP – pectoral), defensive end George Selvie (knee), linebacker Jonathan Casillas (unknown), cornerback Prince Amukamara (groin), cornerback Chykie Brown (knee), cornerback Jayron Hosley (concussion), cornerback Chandler Fenner (unknown), safety Landon Collins (knee sprain), safety Nat Berhe (calf), and safety Cooper Taylor (toe) did not practice. The New York Giants held their first summer training camp practice on Friday at Quest Diagnostics Training Center in East Rutherford, New Jersey. The full training camp schedule is available at Giants.com. Head Coach Tom Coughlin confirmed that the Giants will sign unrestricted free agent wide receiver James Jones once he arrives at the facility tonight. “He’s a veteran receiver, outstanding hands, been in this system, knows the system well, should fit in well, and should compete,” said Coughlin. The Giants have waived/injured wide receiver Ben Edwards, who pulled his hamstring during the June mini-camp. The Giants officially placed left tackle Will Beatty on the Active/Physically-Unable-to-Perform (PUP) List. The Giants also terminated the contract of offensive tackle Troy Kropog from the Reserve/PUP. Wide receiver Odell Beckham (hamstring), wide receiver Victor Cruz (recovering from knee surgery), safety Nat Berhe (calf), and safety Mykkele Thompson (hamstring) were held to a limited number of snaps. The Giants want to work them back in slowly. Wide receiver Victor Cruz looked sharp in his first practice since suffering the knee injury in October 2014. The starting offensive line continues to be left tackle Ereck Flowers, left guard Justin Pugh, center Weston Richburg, right guard Geoff Schwartz, and right tackle Marshall Newhouse. The starting defensive line had George Selvie and Robert Ayers at defensive end and Johnathan Hankins and Cullen Jenkins at defensive tackle. The starting linebackers were Jon Beason inside with J.T. Thomas and Devon Kennard outside. 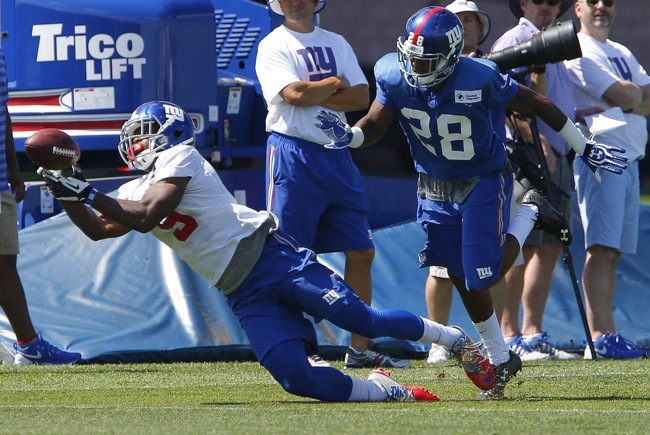 Landon Collins and Cooper Taylor were the first-team safeties. The first touchdown of training camp was a quarterback Eli Manning slant to wide receiver Odell Beckham. (Video) Manning later hit Beckham again on a 60-yard catch-and run for a touchdown. Tight end Jerome Cunningham received a lot of work with the first team. He made a really nice one-handed catch on a seam pass. 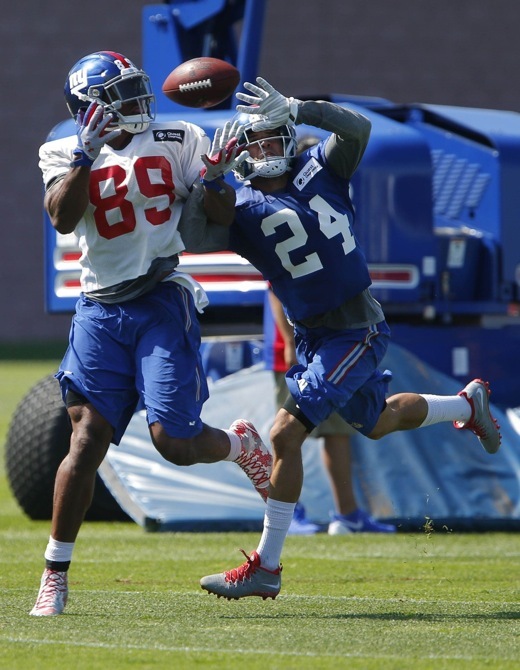 Larry Donnell also worked at tight end with the first team. Q: How does Victor Cruz look? A: He actually went on the ground one time and actually felt good about doing that. That’s one hurdle. He was out there and working and enjoying himself. So there’s more to come. Q: They (Victor Cruz and Odell Beckham Jr.) didn’t start the first period but they were in like the second, it’s just…? A: It’s just going to be a kind of rotation. They have a pitch count, they have a work load. One guy is watching one thing and coaches counting the other. A: Well, I watch what everybody else watches. When something good happened and I saw it breakout, I listen for the whistle to blow and then I move my eyes somewhere else. Q: We talked to the guys before practice and all the offensive guys kept saying this is going to be an explosive offense. Did you see that today when you were watching? A: Well, it’s the first day. We’ve got a ways to go. Q: Is Nat Berhe another one who is on a pitch count as well? I didn’t see him in that much. A: Yeah, he is and so is (Mykkele) Thompson, but so far, so good. Q: Is that one of the positions you would consider the most up for grabs? Those safety spots? A: You hope there are a bunch that are competitive. That is what you hope for. That certainly is one. Q: Are you bringing in a wide receiver, James Jones? A: Yes and he will be in here tonight, hopefully, for meetings. Q: Obviously Ben (McAdoo) knows a lot about him, what do you like about him? What do you see there? A: I remember the great year he had and then last year he caught a number of balls, he led the Oakland team. He’s a veteran receiver, outstanding hands, been in this system, knows the system well, should fit in well, and should compete. A: Well, there are a number of guys there that have played and played a lot. You’re always looking for competition and he certainly will provide it. Q: What did you think of the play where Odell took that quick pass from Eli (Manning) and pinballed his was down the field? A: I liked it and I’d like to see a lot more of it. Q: Play to play, do you worry or watch that Odell and Victor are physically okay? A: You can’t do that. The players are going to play. They’ve got to go play the game. That’s the name of the game. We want to do everything we can to make sure that all the necessary precautions are made but when they do take the field for the required number of plays, they’ve got to play the game and they wouldn’t want it any other way. I don’t mention half the stuff that you’re asking about because I wouldn’t—you watch those guys in a meeting and they’re as intense and anxious as anybody just to play the game. Q: I know you did it in the spring a lot with Ereck Flowers taking reps with both the first team and second team. Is that something you want to continue through camp? A: Well, really what we’d like to see him do is just take off in this circumstance and become the player that we know he can be and grasp things as fast as he can and move from all the spring’s work and the experience that he had, quickly move past that into what we’re doing and what we’re going to face right now. It’s not as much about, sure he’ll take snaps with both, but in reality we want him to just take off at that spot. Q: Is the hour and 10 minute practice just slowly working your way into it? A: That was 14 mods. That is exactly what was planned on. It’ll be a little bit more tomorrow and the whole practice, the whole nature of all of this work, is to a certain extent, we’re going to push them real hard, we’re going to back off it and we’re going to push them real hard again, sometimes two days in a row or three and then back off it. So it’s going to be a series of that kind of thing. Q: How much did you sense that guys were amped up? A: It’s always the first practice. Q: Did you have to hold them back at all in any way? A: No, but you have to remind them about all the things that you’re trying to do. You want to practice hard, you want to give great effort, you want to play full speed but you want to be smart about it. You certainly don’t want to put somebody in a bad light and you always tell them certain things about being around the quarterback and try to keep people on their feet so you don’t get piles. Piles can be a dangerous thing. Q: Is it too early to see how the offensive line is progressing? A: It’s too early. They need to work. Those guys, there is only one way with them and they’ve just got to work and work and work. Lots of times it’s not pretty, but they need to keep working and working and they need to—as these practices extend themselves, get fatigued and play through it, all those things. It all has to happen. Q: Is that how you gel as a unit? Is that how five people become one? A: That certainly is one of the ways it works. The number of circumstances that they end up in together, the real tough circumstances, that helps. Q: Last year you had to flip it around on the offensive line pretty late in camp—I think it was after the third preseason game you had to get two new guards in there. Is there a point where you feel you need to have those five guys set during training camp? A: There will be. There will be. It’s not quite there. It’s a ways off. Q: Is the third preseason game usually that point where you want to have it set? A: Not necessarily, but the third preseason game usually becomes a little more significant because you do put your players through something like a game plan week where as in other games we don’t. It’s nice to say that but whenever it happens, hopefully sooner the better. Q: Photos were released of JPP today in Florida and his hand is basically completely covered in a cast. Have you seen the photos? A: No, I haven’t seen them. I haven’t seen them. I’ve heard there was such a picture but I haven’t seen it. The audio of WFAN Radio interviews with RB Shane Vereen, RB Andre Williams, LT Ereck Flowers, S Landon Collins, WR Rueben Randle, CB Prince Amukamara, OC Weston Richburg, LB Jon Beason, RB Rashad Jennings, WR Victor Cruz, and P Steve Weatherford is available at CBS New York. Giants Agree to Terms with James Jones as Players Report to Training Camp: All New York Giants players under contract reported to summer training camp on Thursday at the Quest Diagnostics Training Center in East Rutherford, New Jersey. As expected, the only no-show was defensive end Jason Pierre-Paul, who suffered serious hand and arm injuries from a July 4th fireworks accident and who has yet to sign his 1-year Franchise tender. According to press reports, the Giants have agreed to terms on a 1-year deal with unrestricted free agent wide receiver James Jones. 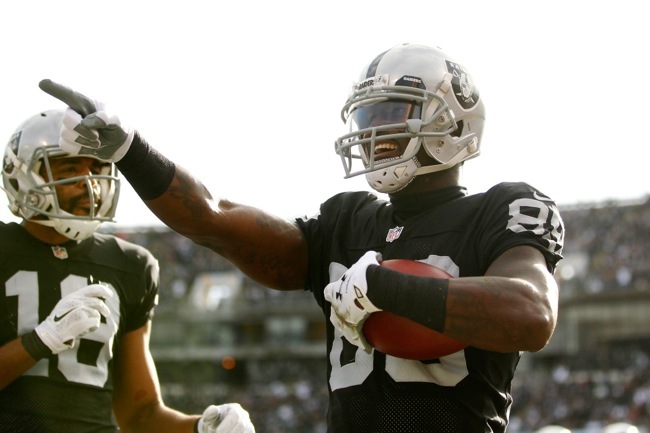 The 31-year old Jones has played eight seasons in the NFL, seven with the Green Bay Packers (2007-2013) and one with the Oakland Raiders (2014). He has 383 career regular-season receptions for 4,971 yards and 43 touchdowns. Last season, Jones caught 73 passes for 666 yards and six touchdowns. Giants Place Two Players on PUP List: The Giants have placed offensive tackle Will Beatty (recovering from torn pectoral muscle) and wide receiver Ben Edwards (hamstring) on the Reserve/Physically-Unable-to-Perform (PUP) List. Q: Obviously Jason Pierre-Paul is not here, and I would imagine you’re not too thrilled with the circumstances. Can you just give us your feelings on that? A: I’m disappointed he’s not here. I think this would be the best place for him to be for a number of different reasons. He would have the opportunity to learn the defense, but more importantly, we have the best training staff in the league here. We have access to some of the best doctors in the world, and I think it would be in his best interest to be here for those reasons. As I said the other day, it’s unfortunate he’s not here. I don’t think he’s receiving the best advice. That’s sad as far as I am concerned. Q: Do you know exactly what his condition is. Have you been allowed to examine him? A: None of our people have been able to see him or examine him, so we have no idea what type of condition he is in. All we know is what some of his people have told us, but until we see him for ourselves, that doesn’t give us any comfort. Q: Have you been told that he has an amputated finger? A: We have been told exactly what you have been told. We don’t know anything more than you know. Q: The people who you are talking about, is that the agent? A: I assume that’s the people he is listening to, but I am not sure. Q: I mean the people that have been in communication with the organization. Q: Has anybody spoken to him, or has the conversation all been exchanged via text message? A: I believe Ronnie (Barnes) spoke with him on the phone. I have exchanged text messages with him. I know Robert Nunn has exchanged texts with him. I don’t know if he has spoken to him personally or not. Tom [Coughlin] (sent) texts, Jerry [Reese], but it has predominantly been text messages. Q: John, do you have any idea when he will show up here? A: It is pretty unusual. I think, again, I have a lot confidence in our medical staff and our training staff here. I just don’t know why you wouldn’t take advantage of that. Q: Could he or his camp play his way into you rescinding the tender? By play, I mean not communicating. A: I don’t think we are going to do anything until we actually see what type of condition he is in. Q: What makes you believe that he could be worth 15 million dollars for this season considering the physical damage that has been done? A: He has obviously played at a very high level in the past. He is a rare athlete. Again, until we see him, and see the damage, we are just not going to know that. Q: John, have you ever been in this situation before. Does this feel different for even you? A: I can’t recall being in a similar situation. Q: Do you think it would color your impressions of dealing with him going forward in negotiations? A: I don’t think so. Listen, he is a great kid, and we love having him around here. He fits in very well, he’s very cooperative. I just don’t know what is going on here. Again, I can only surmise that he is not receiving very good advice. Q: How do go about planning with so much uncertainty? Do you just have to assume that he is not going to be a part of this team? A: I think we have to plan on moving ahead without him at this point. Until we see him and make some sort of determination on the condition he is in, I don’t see how we can count on him, certainly not for the opening of the season. Q: I guess when we looked into how this could possibly play out, apparently at some point you can negotiate the terms of a franchise tag and agree not to put him on NFI [Non-Football Injury]. Has there been any approach by them. Have they said “can we talk” or anything? A: No. We have no idea what their intention is at this point. A: We would be open to discussing anything, but we first need to see him. Q: Have you guys done any research on this kind of injury, and how do you prepare? You guys obviously have to do what you can to get ready when he comes. A: You say ‘this kind of injury.’ we don’t how extensive the damage is—that’s the problem. I don’t know how many fingers he has. We know what we have read and what we have been told, but until we actually see the extent of the damage, it is hard to make any type of prediction as to what type of condition he is going to be in. Q: Have they told you why you can’t get in there to see him? Q: It has got to be all financial, right? He doesn’t have a contract. There has got to be some negotiations going on here. He is a guy without a contract right now. A: I don’t know, there have been no negotiations with us since this happened, so I don’t know what their thinking is. Q: Was there an offer on the table beforehand? Is that no longer available to him at this point? A: We had made an offer to him some time ago, which we never really got a response to. Obviously, that is not on the table right now. Nothing is on the table until we see him. Q: There is some suggestion that he would be worried about signing the tender and then being put on NFI and being docked pay. Would you be willing to say “show up, and we will pay you”? A: All of that is negotiable, depending on what the condition of his hand is. Q: Do you hope that they [Pierre-Paul’s representatives] are hearing what you are saying here since you do not seem to have any other avenue of communication? A: Yes. Those are the reasons that I am here, other than the fact that I have missed all you so much. Q: How much does the timing of this hurt you? It was in July. The fact that free agency, there are not those guys out there. How much does it limit what your options are here? A: It was 14.8 million dollars or whatever it is. It could have arguably been used elsewhere. But listen, our priority and our hope is still that he is going to be able to play, and we will spend that money on him. That is our first wish. Q: Has it been exclusively Jerry Reese talking to the agent? A: I believe so. Kevin Abrams may have spoken to him at some point, I’m not sure. It has been mostly Jerry. Q: Would ownership ever get involved? Would you ever reach out? A: Possibly, at some point, but I have not done that yet. Jerry has been carrying the message for us. Q: Have you done that in the past yourself in any other contract situations? A: Probably on a few occasions, yes. Q: Have you had any personal contact with Jason? A: I exchanged texts with him, I would say, within a few days after the accident. I just asked him how he was doing, is there anything we can do for you? He responded almost immediately and said that he is going to be fine. I think the term he used was that it is just a little bump in the road and I will be back as good as ever. He even put a smiley face on there. Q: Have you expressed your disappointment to him that he hasn’t been here? A: I have not personally expressed that to him. Our first concern is for his well-being. Is he getting the right amount of medical care and proper therapy? I know he will get that here. I assume he is getting it down there, but I don’t know that for sure. Q: There has been a lot of talk about the commissioner’s ruling on [Tom] Brady, and that it was upheld. What are your thoughts on the whole thing? A: I am saddened that it has come to this. We went the two weeks going into the Super Bowl, all we talked about was Deflategate. Now coming into training camp, it is all we are talking about. The commissioner had a very difficult job to do here. At the end of the day, I think he made a decision based on the evidence and the facts that were put before him and without regard to the profile of the player or his personal relationship with the owner. That is what he is paid to do. He did his job here, and you can argue about whether it was fair or unfair, but he had to make a very tough decision under very difficult circumstances and he did it. That is what he is paid to do. Q: Do you support the commissioner in this? A: Yes. I have been around him enough to know that his intention is always to try and do the right thing. I don’t always agree with the decisions that he makes, but I know that he tries to do the right thing. I know this was a very unpleasant situation for him here. You are dealing with the best player in the league, you are dealing with an owner who has been as good as any other owner in the league and somebody that he has a close personal relationship with. He had to make a tough decision.Q: And the fact that this player is suing the league has got to be difficult for all the owners. A: Well, it is. It is just going to drag this thing out into the fall, and that is not good for anybody. Q: Were you as taken aback as the public was over that particular phrase “I was wrong to put my faith in the league”? A: I have nothing but the utmost respect for Robert Kraft. I understand he is very emotional about this, and he feels very strongly about it. He is trying to protect his player, and I get that. As I said, I am saddened that it has come to this. Q: Is it concerning that almost every decision the commissioner has made in the last year has been challenged in federal court? A: It is. I don’t recall it ever being that way in prior years, but it seems like we’ve come to that now, but so be it. Q: Have the expectations for this team been altered with injuries to two starters? A: We’ve lost two starters and we’re not in training camp yet and I don’t remember being in that situation before. I do think we have enough talent here to have a team that can be in the playoffs and we can contend for a championship. That’s what I still believe and that’s what my expectations are. Q: Do you still believe this is a “win or else” season? A: You can make that statement every year, this is the NFL. People have expectations, our fans have expectations, and I have expectations. We’ve been out of the playoffs three years in a row, and it’s time to put stop to it. Q: Has your level of optimism changed in regards to an extension for QB Eli Manning? A: I think we’ll get it done at some point in time. We’re just going through the usual things that you go through. The agent asks for the moon, we make a reasonable offer, and at some point he’ll come to his senses and we’ll reach an agreement. There’s nothing unusual about this. Q: Is there any concern from your perspective about getting a Manning deal done before the season starts? A: I think ideally we would like to have that done, but if it doesn’t, I don’t think that’s going to affect our relationship with him or the fact that we will eventually get it done. Q: Does it make a difference if the Manning deal doesn’t get done before the season ends? A: We’d like to have it done before the season is over, but if it doesn’t happen, then I ‘m still confident it’ll get done at some point. We want him to be here and finish his career as a Giant. I’m sure he wants the same thing. Q: Can you characterize your level of hope for WR Odell Beckham and WR Victor Cruz being healthy? A: That obviously is an exciting prospect and something we haven’t been able to witness really to a great degree. Victor looks good and I’m hoping that he adds something to this offense and Beckham, the sky’s the limit for him. Q: Several of your players live in south Florida. With them reporting today, have you been made aware of any having contact with Pierre-Paul? Q: Do you have any worries about the maturity of Beckham? A: I think he’s going to be fine. In fact, I understand that he addressed all of our (training camp operations) interns today, so that was a very positive step on his part. He and Victor both did, and I think he’s going to be fine. He’s had a lot of success very early on, so sometimes that does give you cause for concern, but I think he’s smart enough and mature enough to handle it. Q: Did he address the interns? A: That’s what I understand. He talked with our (camp operations) interns. Q: Is there a level of anticipation for you to see Cruz? A: Sure, I mean you never know for sure until he gets out on the field, and he’s running full speed, and there’s a little bit of contact involved. So yeah, there’s always going to be that but I know he’s very confident in our medical team, he’s very confident about them, so I think he’s going to be back good as ever. Q: How much have past injuries played a part into you looking at medical advancements and have you done any research? A: I’ve certainly voiced my concern about the fact that we led the league in injuries the last two years. Nobody likes that around here and we’ve made some adjustments to the off-season program. We’ve got these GPS trackers now. We’re trying to pay as much attention to that as possible, Tom has made certain adjustments to his schedule, and we’ve made some adjustments to the weight room and what they’re doing in there. Hopefully all that will pay off, but we’ll have to see. Q: Does Coach Coughlin still embrace the old school way of coaching and not sports science? A: I don’t really think that’s true. I think he’ll be able to tell you more specifically than I can. We have made changes. Tom does see we need to do that. I think in a perfect world for him, we’d be back to two-a-days and all sorts of contact, and everything, but that was a different world back then. We’re not in that world anymore. I believe he has embraced that and does see that we need to make changes going forward, because he’s not happy about the fact that we had so many injuries the last two years. Q: Do you view your recent changes with sports science as catching up to the competition because some teams may have gone to it earlier? A: I don’t know how much earlier, maybe a few teams may have done that. One thing about Tom is that he is more flexible than he’s given credit for. When he see’s something that’s out there that’s working, he wants to investigate it. Again, nobody is happy about the number of injuries that we’ve had, and we’re trying to do something to stop it. I think some of it has been bad luck with the broken bones and things. I don’t know what you do to prevent that, but sometimes injuries are going to happen in this sport. Some of the soft tissue injuries that I think that maybe are a little more avoidable, we’ve taken some steps to address that. We’ll see if they work or not. Q: If you could boil your message down to one thing to Jason Pierre-Paul, what would it be? A: Come home. We miss you. Coughlin: Welcome to camp. Some of you don’t look in as good of shape as you should be. We’ll take care of that as we go along. Q: No fines, I hope? A: There will be. Shortly. Q: Assume all your guys did alright in the conditioning test? A: Their body weights were good and this test, which was simply to make sure that they had been doing what they were supposed to be doing. They looked fine. Q: Was everybody here other than Jason Pierre-Paul? Q: Looks like you changed up the conditioning drill this year. Q: Was that part of the studies that they did? A: That and a little bit more teeth into the drill. Little more emphasis on the conditioning part of it coming back. Q: John Mara stated that the message he wants to send to Jason Pierre-Paul is ‘come home. We miss you.’ Do you echo his statement? A: That’s been the message all along, really. It’s hard to believe that he couldn’t get here and take care of an awful lot of issues rather than what they’re doing. But, again, I’ve not spoken with him and very few people here have. Q: Have you texted JPP? A: I did. Right away, I did. Q: Have you texted JPP recently? A: Right away, I did. Q: Could you right away and recently, also? A: But I didn’t do it recently, I did it right away. Q: Is there still no response? A: No, there is no response. Q: Has any of this—the injury or the aftermath—soured your relationship with JPP or will he be welcomed back if he ever does choose to return? A: Well, I hope he chooses to return. Hey, we’re all concerned about the young man, first and foremost, but it is difficult to extend this concern when we feel like he should be here. But as far as souring, that’s not going to sour anything. I am concerned about him as a young man and anxious to know exactly what he’s dealing with, and then we will know what we’re dealing with. Q: Other than Will Beatty, do you have anyone else going on PUP? A: I think (Ben) Edwards, the young receiver, will have to go on. Q: Victor Cruz does not? Q: What kind of green light does Cruz have tomorrow? A: I’m sure we will have to limit and build him up, but he’ll be out there. Q: How about Odell Beckham Jr. in the same respect? Q: What is your level of expectation for his team this year? A: I expect them to work hard. I expect them to compete like heck. Hopefully, we will remain intact and be able to put on the field the team that we have assembled right now, and then if we can get everybody to buy into the team concept, and we can progress along those lines. I feel good about today, but we take it one day at a time. Q: Will Odell Beckham Jr. and Victor Cruz be (limited) for all of training camp or do you need to see where they are and gauge before you have a plan? A: I hope they can practice all the time. I’m sure there may be some time when they have to have some recognition in terms of number of snaps, but that’s probably going to be the way it goes anyways. We’ll monitor all the players under the existing system that we have and try to get a gauge on exactly where they should be for each style of practice that we present. Q: Walter Thurmond commented that, ‘Tom Coughlin may not be as into sport science.’ What is your reaction to that? Q: Have you made any changes this year? Q: Is the recovery stretch still something that we will see or the intermissions? A: Sure. Recovery stretch, you’ll see. Q: Were those changes hard to make given that you only have them on the field for a certain amount of minutes a day? A: No. Again, coming from where I’m coming from, it’s not a question anymore about what we used to do. It has to be what’s best for the current times, and this seems the way to go. Q: You brought in Jake Long recently for a second visit. What was your impression and where do you stand on that? Q: Do you feel like you still need to make a move there? A: We’re going to check every player that is available that may, in any way, help our team. Will be evaluated and, if so, brought in and given a physical and worked out. For every player that comes along that we think can help us, that would be the case. Q: Marshall Newhouse played right tackle in the spring. Do you expect to see that here and moving forward? A: Well, sure. To start out, for sure. Then see how the progress goes on his part and the other linemen that we have assembled. New York Giants Sign Geoff Schwartz, Rashad Jennings, and O’Brien Schofield: According to multiple press reports, the New York Giants have agreed to terms with unrestricted free agent guard/tackle Geoff Schwartz (Kansas City Chiefs). Details of the contract are not yet known. 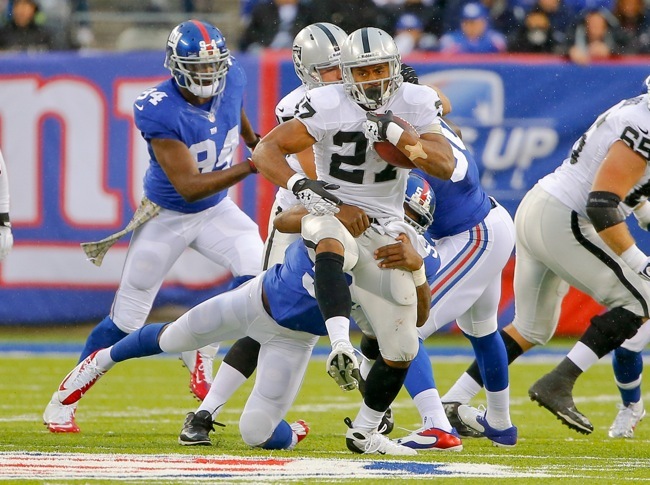 According to the player himself, unrestricted free agent running back Rashad Jennings (Oakland Raiders) was to sign his contract with the Giants on Tuesday night. Details of the deal are not yet known. According to multiple press reports, the New York Giants have signed unrestricted free agent linebacker O’Brien Schofield (Seattle Seahawks). The contract is reportedly a 2-year, $8 million deal. Because of these moves, we have updated the Transactions, New York Giants Free Agent Signings (with scouting reports), and New York Giants 2014 Free Agency Scorecard sections of the website. New York Giants Re-Sign Stevie Brown and Josh Brown: Unrestricted free agent safety Stevie Brown (New York Giants) tweeted on Tuesday that he has re-signed with the Giants. The contract is reportedly a 1-year, $4 million deal. Unrestricted free agent place kicker Josh Brown (New York Giants) also tweeted that he has re-signed with the Giants. Terms of that deal are not yet known. Linval Joseph Signs with Viking, Ryan Mundy with Bears, Brandon Myers with Buccaneers: Unrestricted free agent defensive tackle Linval Joseph (New York Giants) has signed with the Minnesota Vikings. The contract is reportedly a 5-year, $31.5 million deal. Unrestricted free agent safety Ryan Mundy (New York Giants) has signed with the Chicago Bears. It is a 2-year deal but the financial terms are not yet known. Unrestricted free agent tight end Brandon Myers (New York Giants) has signed a 2-year, $4 million deal with the Tampa Bay Buccaneers. Because of these moves, we have updated the Transactions, New York Giants Free Agent Losses (with scouting reports), and New York Giants 2014 Free Agency Scorecard sections of the website. ESPN is reporting that unrestricted free agent wide receiver/returner Jacoby Jones (Baltimore Ravens) will visit the Giants on Wednesday. FOXSports is reporting that unrestricted free agent quarterback Curtis Painter (New York Giants) will re-sign with the Giants. DraftInsider.net is reporting that the Giants are in the mix for the services of unrestricted free agent wide receiver James Jones (Green Bay Packers). Unrestricted free agent defensive end/tackle Arthur Jones (Baltimore Ravens), who the Giants had expressed interest in, signed with the Indianapolis Colts. Unrestricted free agent cornerback Alterraun Verner (Tennessee Titans), who the Giants had expressed interest in, has signed with the Tampa Bay Buccaneers.